…chinos and cargo styles in duck canvas, premium denim, cord, twill, poplin and ripstop. This season the Bronco Pant’s reliable style comes in an additional material: Duck fabric, commonly known as canvas and – a Carhartt classic. The Bronco Pant comes in ’Dearborn’ canvas – named after the city of Dearborn that we also call ’The Carhartt City’ in the suburbs of Detroit. The canvas is available in Carhartt Brown and Black and you can choose between rigid, founder washed and starter washed. 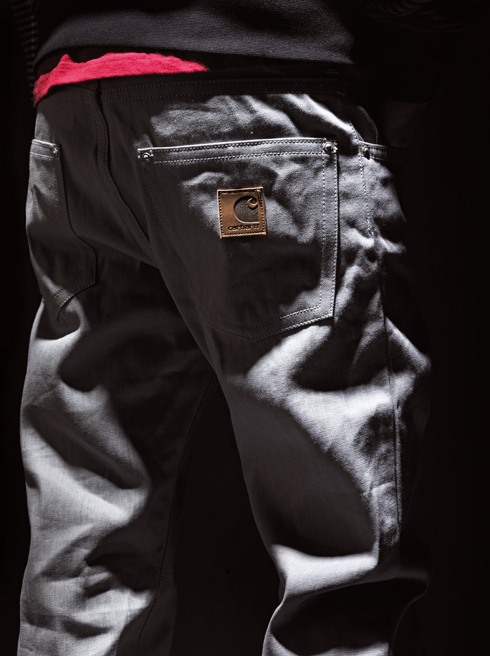 For Fall / Winter 2010 we’d like to introduce you this new model: the Unit Pant. 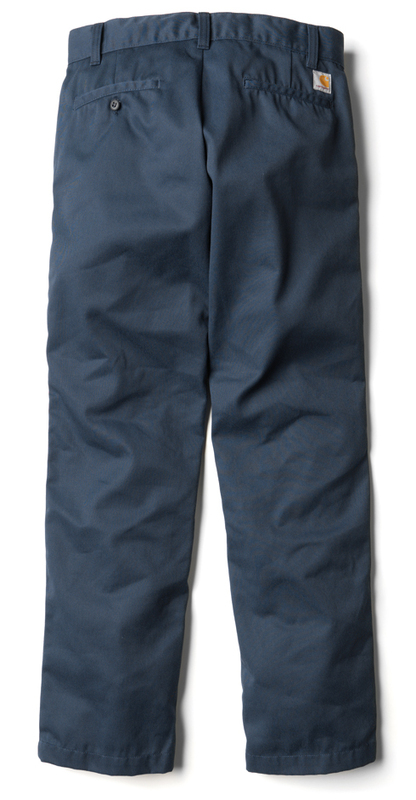 This Pant has a a regular fit, low waist and straight leg and is a slim version of the classic chino work pant. The Unit Pant comes in polyester / cotton twill, a robust and easy-care fabric that’s perfect for constant use. Available in the colours Rubble, Tobacco, Navy, Black and Blacksmith. Our Klondike Pant is heavily inspired by the pioneer and gold digger spirit from back in the days. These trousers are available in finest, premium selvedge denim, easily recognisable with the red threat in the selvedge, and japanese denim, one of the best and most superb jeans fabrics available today. Due to natural irregularities both denims procress a unique look over time that is impossible to create artificially. 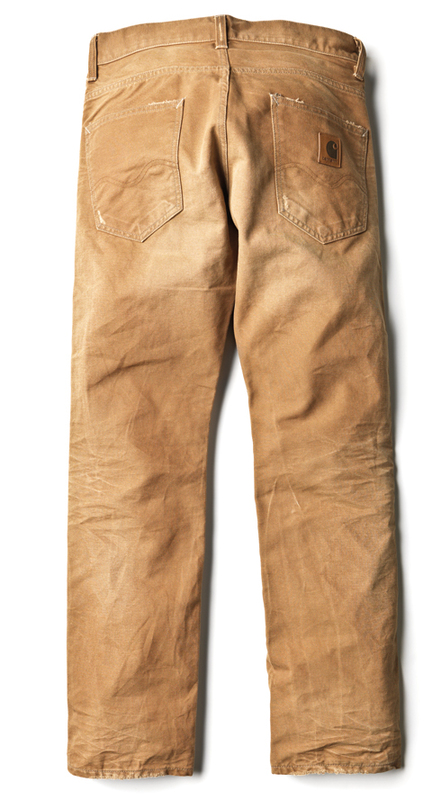 If you’re searching for a pair of pants you want to give your own, special look – here you go! Head over to our Pants section for Men and Women to browse through the complete range.